Hyperbaric oxygen therapy helps the body’s oxygen-dependent, wound-healing mechanisms function more efficiently. While enclosed in a chamber at greater-than-normal atmospheric pressure, patients breathe pure oxygen, saturating their blood plasma and allowing it to carry from 15 to 20 times the normal amount of healing oxygen to the body’s tissues. 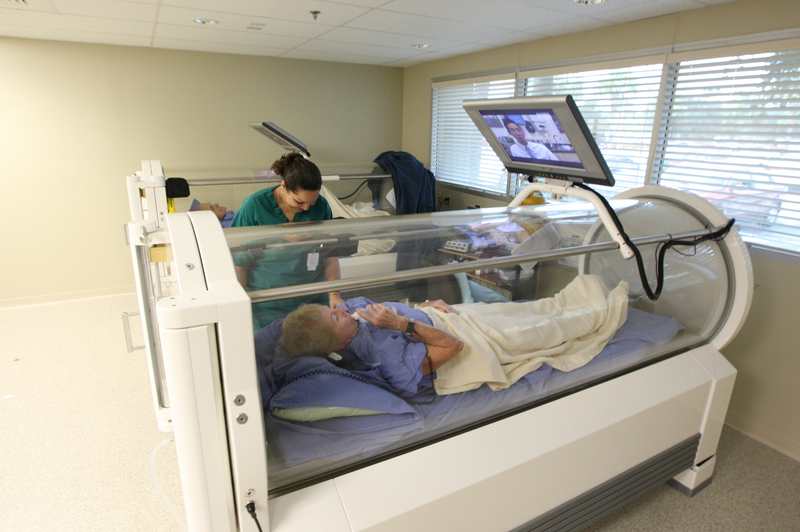 Up to 18% of wound care patients may require HBOT treatments, provided by physicians at the Wound Care Center, who are specialty-trained in hyperbaric medicine, and our highly trained clinical hyperbaric technicians and staff.